Designs and develops rich customer experiences, as required to deliver new capabilities or experiences supporting corporate business objectives. The Sr Engineer Software acts as the development and technical lead on moderately complex projects, contributes to strategic vision, technical decisions, participating in process improvements, completing proof of concept projects for introduction of changes to our architecture, and providing peer oversight on the work of other Software Engineers. Owns the development of one or many capabilities(s). Utilizes Planning and Leadership skills to oversee development deliverable as required to implement new systems capabilities. Acts as a strong advocate for a culture of quality. Designs and develops domain capabilities to support complex business objectives. Leads moderately complex projects. Utilizes development skills to build software and unit test new customer experiences per technical specifications, with deliverables to include builds and releases. Ensures Continuous Integration and Build is in place. Maintains technical skills and expertise through continuing education and training. Translates business, and functional requirements into documented technical specifications or User Stories. Communicates design, requirements, functionality, and limitations of systems/applications. Utilizes development skills to build (code) and unit test new systems functionality per technical specifications, with deliverables to include code builds and documented unit test results. Identifies and creates/updates support documentation as needed by the DevOps function and drive, monitor and takes part in Peer Review to allow acceptance of system changes into production. Directs build and unit test production deployment packages. Facilitates/leads reviews (walkthroughs) or grooming sessions and demos of technical specifications and program code with other members of the technical team, communicating design, requirements, feature set, functionality and limitations of systems/applications to team and development lead. Utilizes product lifecycle methodology as a guide for development activities. Provides on-call and after-hours support as required for production releases and to respond and provide active resolution support on production outages. Collaborates with architects and other Software Engineers on design. Collaborate with other Business and Technology partner teams on successful delivery of product enhancements and support. Employs a hands-on approach to lead the Development team, both by coding themselves and coaching and mentoring team members. In-depth knowledge of core library development for a widely used programming language. Computer Science fundamentals in object-oriented design, data structures, and performance analysis. Experienced in building and launching client based light weight Web APPs. Solid understanding of API lifecycle management. Knowable in common Internet technologies and protocols viz. HTTP(s), SSL, OAuth, REST, JSON, XML etc. B.S. Computer Science or Management Information Systems or equivalent experience. 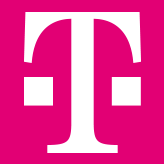 Want to get notified about new jobs at T-Mobile USA ?